our team has been having with clients. As marketers, it’s in our DNA to pick apart commercials, campaigns, and even games to find the golden nugget to adapt as our own. So why did “The Scarecrow” work and why are we still talking about it more than a year later? Here’s a hint: it doesn’t have to do with the massive success of the mobile gaming industry alone. 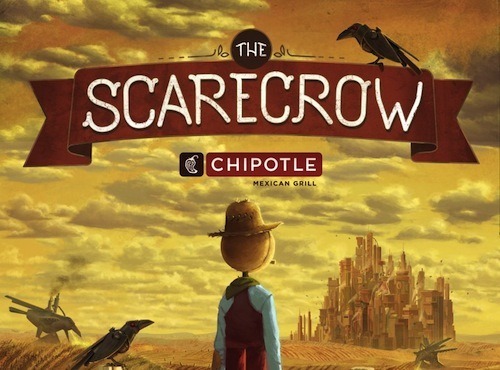 "The Scarecrow" was a success because it goes deep into the brand ethos of Chipotle. The campaign wasn’t a gimmick or an idea crafted alone in the marketing department; it’s a true manifestation of the commitment they’ve made as a brand brought to life. "The Scarecrow" worked because every chapter and channel in the brand story connects back to that ethos giving it real-life power, even down to the example seen in stores this January with the pork supplier. As marketers, the deeper we dive into mobile, gaming, *insert any new platform name here*, the harder we will need to work towards telling an authentic brand narrative first. Telling stories people care about creates a connection to the brand. By leading with compelling stories, we can more easily build those digital experiences that people will actually want to engage with.